Teeth that appear crooked and misaligned causes feeling of discomfort when you want to obtain smile easily. Crooked teeth can also be harmful and influence your oral health and the function of your bite. Aesthetix Dental Care is your local supreme dentist for orthodontic treatment with invisible braces using the Invisalign® clear aligner system. Dr. Chintan can assist you gain a smile with Invisalign treatment that is present for young and adult patients. Clear, comfortable aligners will gently reposition your teeth in about a year with no influence on your daily routine. With Invisalign, patients would likely to enjoy their favorite’s food and change the appearance of their smile. The aligners do not irritate the soft tissues of the mouth and are not difficult to change out bi-weekly or as per your distinct treatment plan. It is always good to think about orthodontic treatment choices when solving a range of issues, including crooked teeth. Invisalign is frequently the better solution for adult patients who can benefit from mild to moderate orthodontia, delivering effective treatment without the troubles of conventional metal braces. Adult patients can gain their aesthetic and dental health goals by wearing braces. Straightening teeth that are crooked can enhance your smile confidence as well as your permanent dental health. Crooked teeth are more prone to decay, damage, and can influence the function of the bite. Teeth that are aligned correctly overcome bite problems and are also not difficult to brush and floss effectively. You should experience great about your smile! 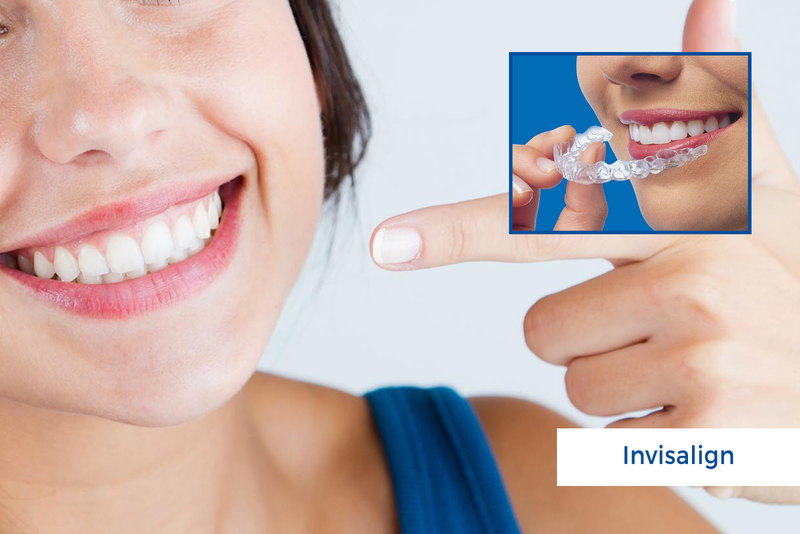 If you are prepare to increase your smile confidence with Invisalign, schedule an appointment in our dental care. We will examine your smile and work with you to develop a personalized treatment program according to your requirements.